RPAC Investment You Can Measure. 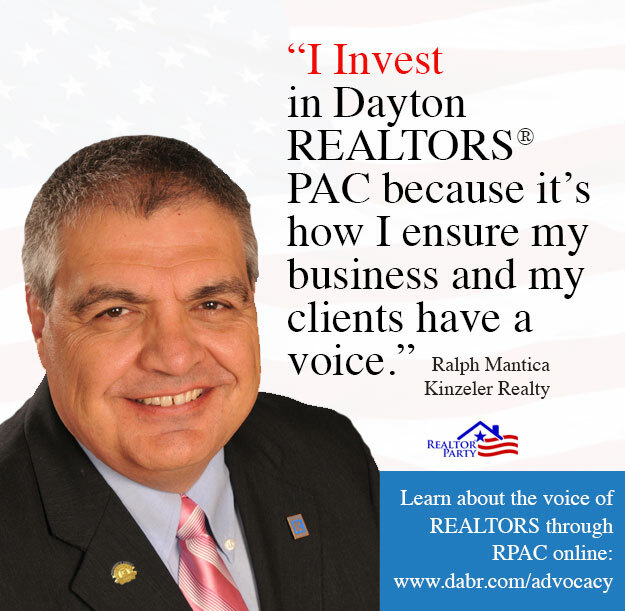 Through your RPAC Investment Dayton and Ohio is a strong place for REALTORS® to do business. Together, Ohio REALTORS® helped defeat numerous efforts to expand Ohio's SALES TAX ON SERVICES. Stopping the tax increase saved the average REALTOR® $1,967 and $3,643 for the average Broker. Combined, this created an annual savings of $456 for the average REALTOR® and $1,080 for the average Broker. Why should I invest in RPAC? How will my investment be used? 100% of your investment is used to elect candidates at the local, state, and national levels who both understand and support REALTOR® issues. RPAC looks to build the future by putting dollars in places that will help advance the interests of REALTORS®. 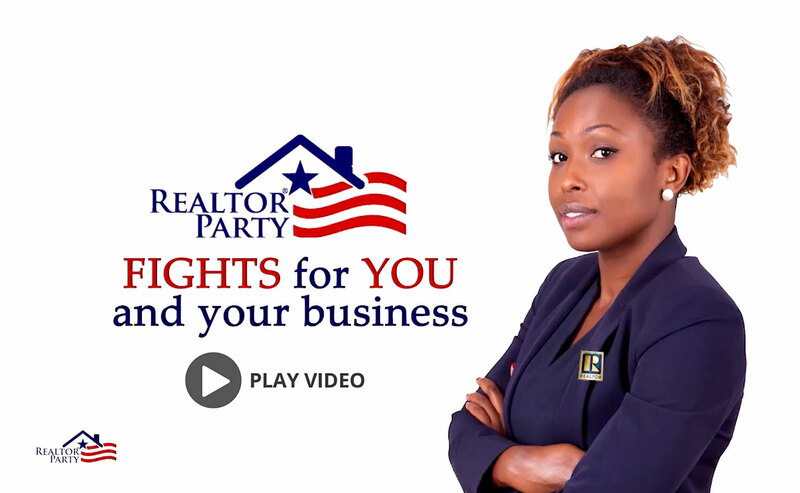 RPAC is the only political group in the country organized for REALTORS® and run by REALTORS®. RPAC exists solely to support issues important to REALTORS®. Candidates who receive support from RPAC are not selected based on their political party or ideology, but solely on their support of real estate issues. Our legislative allies are members of the REALTOR® Party. The REALTOR® Party supports the issues that are important to you as a REALTOR®, regardless of political party affiliation. As a member of the REALTOR® Party, it's not about Republicans and Democrats. It's about the REALTOR® members and the consumers they serve. Voting is your American right and Dayton REALTORS® and the National Association of REALTORS® encourages you to vote for candidates and issues that build strong communities, protect property interests and promote a vibrant business environment at the local, state and national levels. There has been a high level of interest from our members of Congress from both Houses and both parties in reforming the tax system. Currently with Republican-control of the House, Senate and White House, tax reform may finally be enacted. Work remains to be made and seen before any tax reform plan comes up for votes, but there are many areas that will impact REALTORS® and consumers in this area. There is still work to be done to assist Consumers in the area of financing. With tight lending standards continuing to limit the availability of affordable mortgage financing for consumers is still a push by the National Association of REALTORS®. See what impacts REALTORS® and the Consumers they serve. Congress must reauthorize the National Flood Insurance Program to ensure that property buyers and owners in 20,000 communities nationwide have access to the flood insurance required to obtain a mortgage. Additionally, as the health care reform debate begins, NAR will strongly represent the interests of independent contractors and small firms and access to quality, affordable insurance options. According to NAR, the federal mortgage finance programs that have proven records for producing and preserving homeownership opportunities must not only be preserved but also continuously strengthened. Programs administered by the Federal Housing Administration (FHA), the Department of Veteran Affairs (VA) and the Rural Housing Service (RHS) occupy a critical role in the nation’s housing finance system. Their mission is to ensure access to mortgage credit that is available to all Americans in particular groups traditionally underserved by the private market including low to moderate-income, minority, and first-time homebuyers. Protecting the business operations of members is always a priority for NAR. There are a number of issues before Congress, the Federal Regulatory Agencies, and state/local governments that could have a significant impact on the business operations of real estate firms. More than $200 billion in commercial real estate bank loans, plus $205.2 billion in CMBS will come due in the next two years, and many of these deals will face challenges in obtaining new rounds of financing trouble getting financing. NAR supports consideration of legislation and regulations to protect and enhance the flow of capital to commercial real estate. Offers lobbying, research, legal help, current real estate information and member discounts on products and services. The NATIONAL ASSOCIATION OF REALTORS® strives to be the collective force influencing and shaping the real estate industry. All information is subject to change and should be independently verified. Copyright© 2019, Dayton REALTORS©, INC. All Rights Reserved. Disclaimer: DABR makes no representations or warranties of any nature with regard to the privacy and/or business practices of the websites linked from or to dabr.com nor with regard to their use of any information they may collect. Copyright © 2019 Dayton REALTORS©. All Rights Reserved.